This statement was first posted last Saturday evening, October 19th. After a great deal of prayer and deliberation I am sad to announce that I must step down as a National Leader for Overpasses and will need to leave the groups. When this began I made it clear that there are principles and morals which I must live by and that I would need to leave if there was ever any conflict with them. Over the last week I have become aware of an issue that does indeed conflict and while I believed it could have been corrected I am not satisfied that it has. 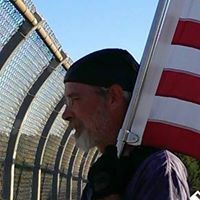 I still believe in the movement and each of the great patriots that have made it what it is but in view of this issue I would become a party to it if I continued with the Overpasses groups and that is something I cannot do. All of you great Patriots deserve better than that. This movement is not about any one person but rather it is about a lot of great individuals. You are the movement. Whether you decide to stay with Overpasses or not I would ask everyone to do your part and keep getting out there to let people know we need to fix our country. We have shown that it doesn’t take a huge crowd of people to do this. Grab a couple of friends and head out there and people will hear you. Rick just started this new group, Free Voices United.